Manchester, the home of English football and where the Bobby Charlton Soccer Schools Academy (BSCCA) was founded by the 1966 World Cup winner Sir Bobby. BSSCA is still helping football-playing kids and teenagers from all around the world enjoy and improve their skills. Over the 40 years of its existence, the soccer school has coached over 1,000,000 young players and is famous for discovering David Beckham. But it’s not just about the football. It’s also about ensuring the youngsters are able to communicate more effectively in the world’s international language on the football pitch. English tends to be the lingua franca for communication among players, their coaches and managers in high ranking football clubs where many different languages are commonly represented these days. BSSCA has teamed up with la Academia to provide English language tutoring alongside the football training. The goal is to ensure players can speak, listen to, read and write in English in a variety of everyday situations, encouraged by la Academia’s fantastic teachers. Lots of football, lots of English — and lots of fun. 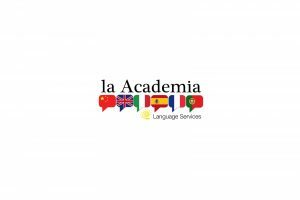 What better way to learn than to join BSSCA’s and la Academia’s unique course combining English classes with the world’s favourite sport? Whether you are a future international star or just play football as a hobby, you will love this football and English programme. Our students come from all around the world for these courses and we offer both residential accommodation and Home Stays. We’re always looking for suitable homes for our students so do get in touch if you can help – a great way for your own kids to learn about other languages and culture too. Who knows – you may even host the next Beckham or Lionel Messi. Bookings are being taken now for July’s courses.